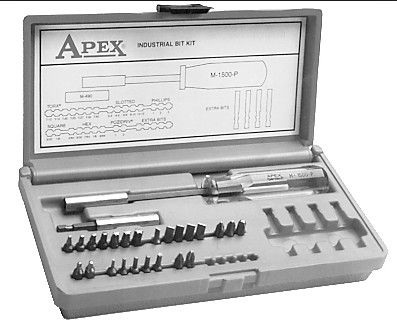 Apex® hand drivers, including awls, drivers with self-contained insert bits, replaceable bit drivers, magnetic replaceable bit drivers and industrial bit driver bits. Special alloys have been developed that offer attributes suited to the specific demands of the aerospace and automotive industries. Quality design and construction give Apex® hand drivers a long service life and durability. Quality design and construction give Apex® hand drivers a long service life and durability. 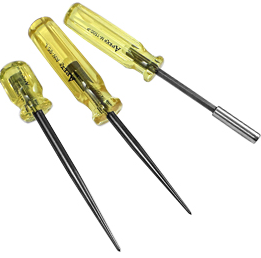 Apex® hand drivers are specifically designed and manufactured for high impact use, and made from a tougher and more ductile alloy steel which is then heat treated for extra durability.